This week my daughter Carina Freedman sailed with the University of Michigan Sailing Team. 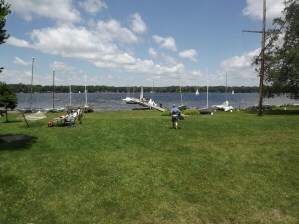 They sail on Baseline Lake about thirty minutes from Ann Arbor Michigan. The Michigan Sailing Team has quite a setup on their lake. Maybe forty boats with a hundred foot dock which comes out of the lake during the winter months. Michigan is ranked #3 in their conference and sails by the 20 – 20 rule. The 20 -20 rule is if it is blowing over 20 mph they do not sail if it goes under 20 degrees. That Saturday we had lunch with Tom Ehman and his father Tom Ehman Sr. at Portage Lake Yacht Club on Portage Lake Michigan. 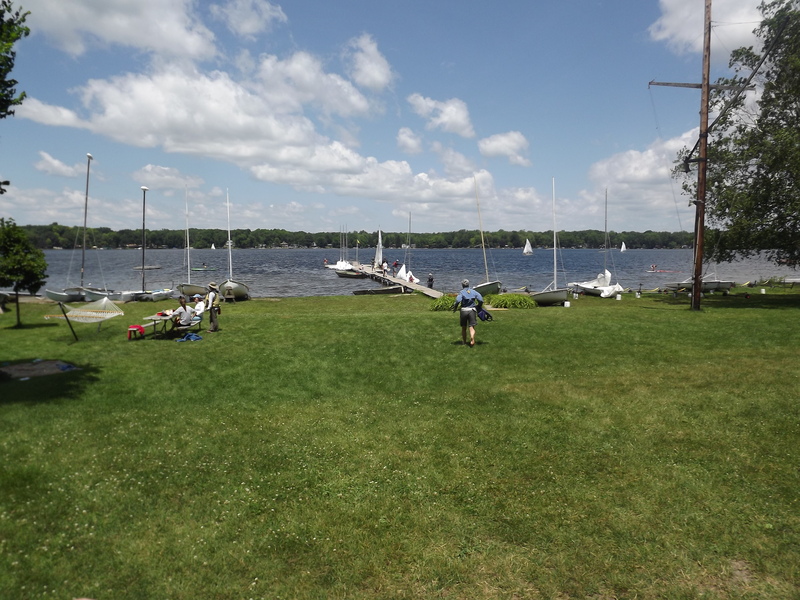 Portage Lake is right next to Baseline Lake and is a wonderful family yacht club. Tom junior flew in from San Francisco to sail with father for the weekend. 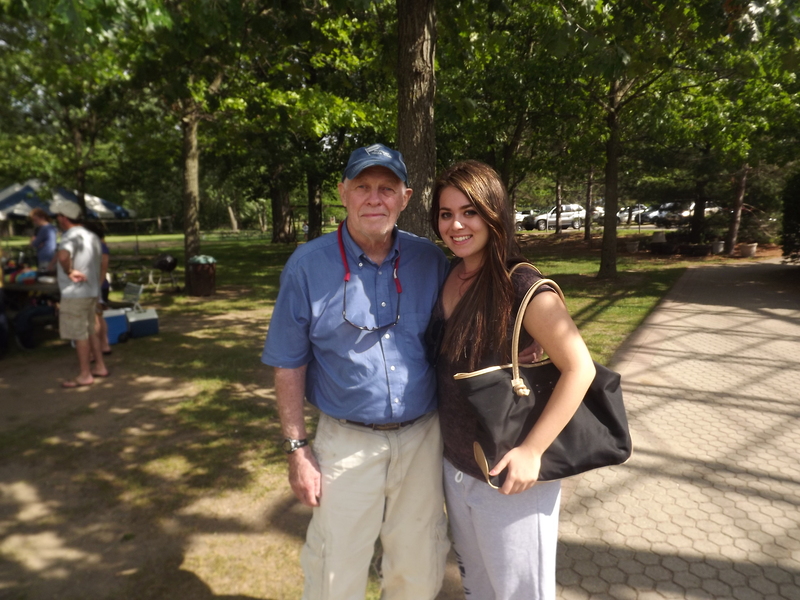 Tom Sr. bought the land for the Yacht Club and moved the YC to its present location in 1951. Google Tom Ehman – you will see that he is the former head of the America’s Cup and is the current head of ORACLE in San Francisco defending the America’s Cup which will be sailed in San Francisco in 2013. Tom Sr. also started and created the 360 and 720 penalty turn rule in sailing, They are both good friends of mind. Tom junior took my French fries at lunch.